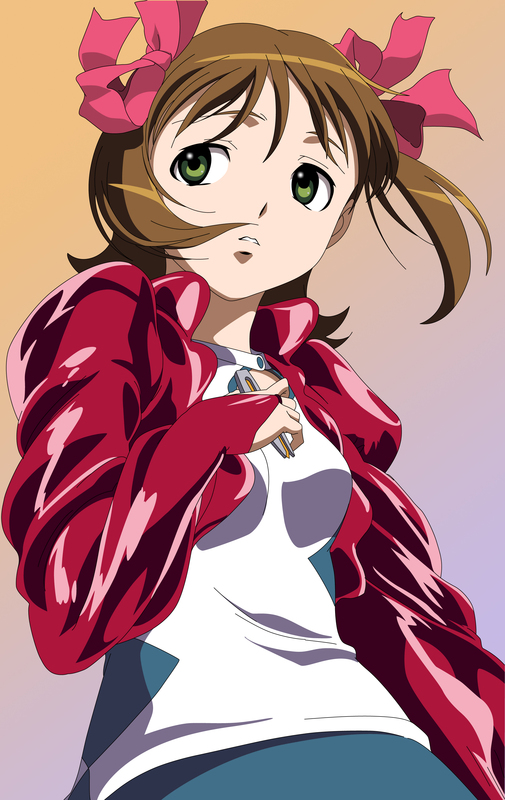 A vector Trace from Idol M@ster Xenoglossia scan I made but haven't posted. Vectored on 2 different Mac computers using Illustrators CS3 and 4. I like the extra special new addition to Live Paint. (Shift-L on Mac version). Let's you select solid regions and lines. I can trim the lines. (don't have to delete, can just make transparent by select stroke to (/). As far as how long it took? Been too long since I originally started it last year. I have another image of Haruka almost ready for release. May be up tomorrow.